It is another proof that we should always fasten our seat belts when in a car. Do not neglect this simple rule to be safe. This guy was just too lucky to avoid his death. He managed to get out of the car in such an unusual way! Here’s how the Russian Post accepts parcels. The video is from Kazan, Tatarstan. It might be dangerous to show how mad you are about physics! Some accidents are so sudden! Buckle up? Why would you buckle up? 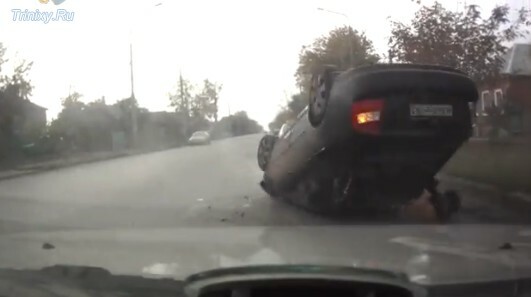 See how people are safely ejected from the car. It’s nice to see the other people moving so fast to help.